A contraction in manufacturing output, especially in the sensitive capital and consumer goods segment, pulled down industrial growth to a 20-month low of just 0.1 per cent in February. The bottom crawling growth rate follows a 1.43 per cent growth in the previous month of January. The index of industrial production (IIP) has witnessed low growth since November, 2018, and is expected to remain muted owing to weak exports, rural distress, credit constraints and uncertainty over the election outcome, according to economists. In the April-February period of the current financial year, industrial output grew at 4 per cent, as against 4.3 per cent in the same period of the previous financial year. The manufacturing segment, which constitutes the bulk of the index of industrial production (IIP) at 77.6 per cent, contracted by 0.3 per cent in February against an equally small rise of 0.93 per cent in January. Before, this, the December 2018 manufacturing number of 2.95 per cent. The numbers show continued volatility in the IIP, despite change in the index last year. Most of all, the capital goods segment, which connotes investments, saw output growth turning to negative with an 8.8 per cent contraction, as compared to a 3.42 per cent contraction in the previous month. Driven by machinery and heavy transport, capital goods production had been on a solid upward swing till October. 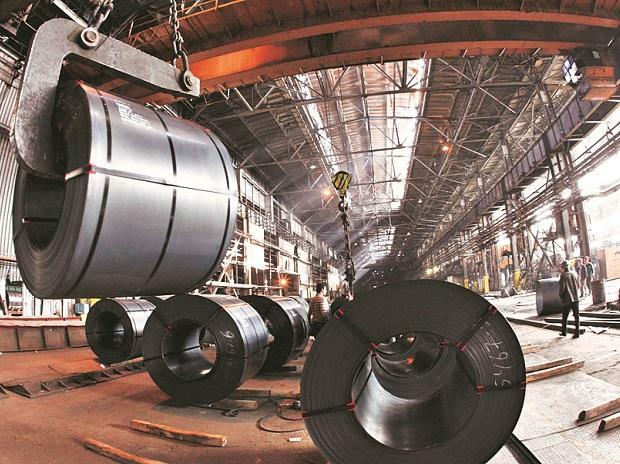 “The capital goods sector, which had shown an average growth of 8.9 per cent during April-October period in FY19 and raised hopes of an incipient investment recovery in the economy is once again appearing to be losing steam. With the exception of December 2018, capital goods are recording negative growth in each month since November,” Devendra Kumar Pant, Chief Economist at India Ratings and Research, said. In January, the growth rate for consumer durables also fell to 1.2 per cent, from the 2.3 per cent growth in January. “A 1.2 per cent consumer goods production is also reflective of inventories that have built up in Q3, when capacity utilisation also improved. But, with demand tapering off, production has slowed down,” Madan Sabnavis, chief economist at CARE Ratings, said. On the other hand, consumer non-durables commanded a growth rate of 4.3 per cent in February, up from 3.3 per cent in January. All other user-based segments either showed a negative growth or low-single digit growth. Overall IIP growth for the entire year would be about 4.5 per cent, which is half per cent lower than what we had projected earlier, Sabnavis added. Of 23 sub-sectors within manufacturing, 13 recorded a year-on-year contraction, compared to 11 in January. Slowdown in major sectors such as metals and refined petroleum brought down overall growth. On the other hand, apart from furniture and food manufacturing, which saw healthy growth in the financial year, computer hardware production managed to see a healthy growth. This is after the government pushed manufacturing in the sector on a sustained basis over the past nine months, through a series of benefits and the phased manufacturing programme aimed to reduce imports of electronics goods. The two other sectors in the IIP — electricity and mining — also saw muted growth in February, data released on Friday showed. Electricity generation rose 1.2 per cent in the latest month, slightly more than the 0.93 per cent rise in January. On the other hand, mining output grew by 2 per cent in February, against a 3.92 per cent rise in January.